Just when all hope appeared lost, Norwegian Seaways names a date for the resumption of ferry services between the UK and Scandinavia. Also, more air quality alerts in Paris. Another setback for MyFerryLink. Petrol prices rise in Luxembourg. Says market conditions have changed. Bergen harbour: photo VisitBergen.com/Per Eike. Norwegian Seaways has set a date for the resumption of ferry services between the UK and Scandinavia. In what is presumably a reference to falling fuel prices, the company says the market conditions have changed. 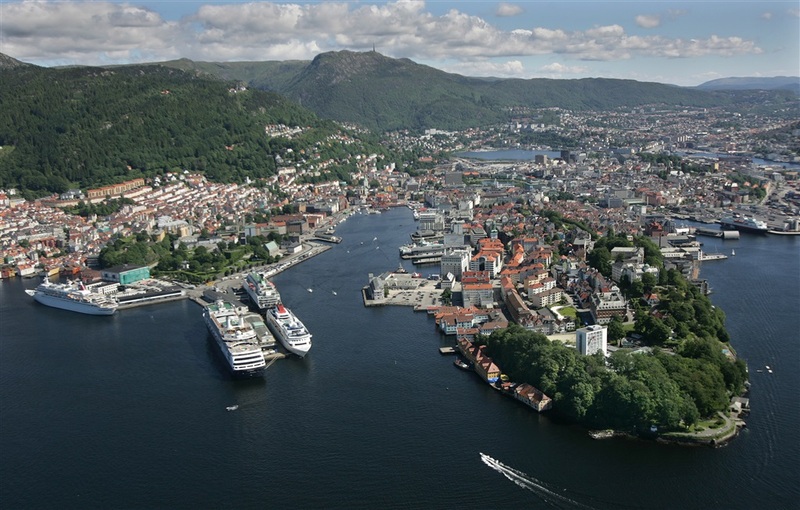 It expects to finalise funding in the spring ahead of a brand launch in September and the start of services – likely between Newcastle, Bergen and Stavanger – the following March. The final UK-Scandinavia ferry service, operated by DFDS between Harwich and Esbjerg, Denmark, was withdrawn last September. Norwegian Seaways first emerged as a potential operator in November 2013. In the meantime Regina Lines’ proposed replacement Harwich-Esbjerg service has, apparently, failed to get off the ground. At debate in the Scottish Parliament on ferry links to Scandinavia earlier this month, transport minister Derek Mackay said the government supported the idea but any help is could offer would be ‘limited’. 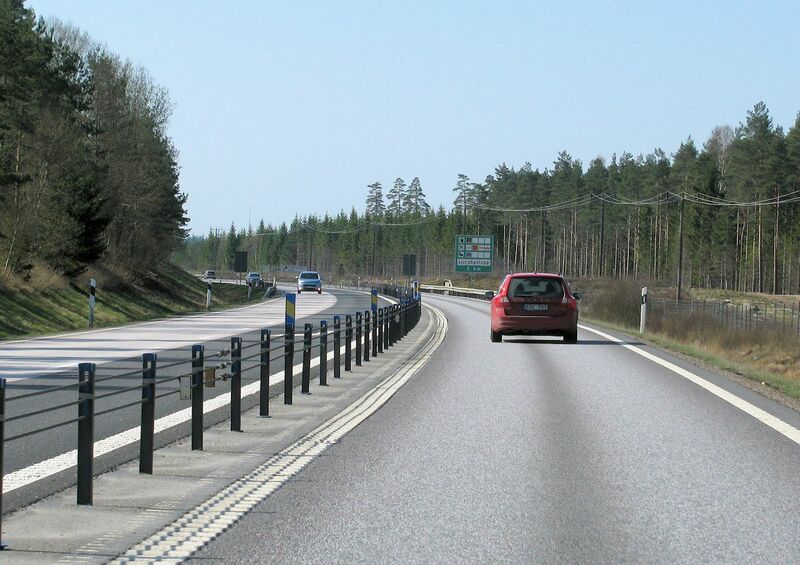 Sweden: final stretch of ‘ultra safe’ 2+1 on the E4 Stockholm-Malmo motorway to be widened. More later. Photo @DriveEurope. roundup: FRANCE. Paris air quality observer Airparif says pollutant levels are expected to reach 77/100 tomorrow, well over the threshold of 50/100 which triggers abatement measures. Expect reduced speed limits at the very least. CROSSING THE CHANNEL. The ‘SCOP’ workers co-operative at MyFerryLink had their application for appeal against the recent Eurotunnel II ruling unanimously rejected by the Competition Appeal Tribunal yesterday. The last hope for the Dover-Calais operator, and its employees, is to be sold as a going concern. LUXEMBOURG. The (nationally regulated) price of petrol has actually increased today after months of falls. Unleaded 95 now costs €1.076/l and unleaded 98 €1.14 says Wort.lu. Diesel stays the same, at €0.963, for now. I note in other forums DFDS have just now just subcontracted there Esbjerg freight division administration to Blue Water in Esbjerg making approx. 67 DFDS employee’s redundant. So I cannot ever see DFDS returning to passenger shipping between uk and northern Europe again while its top management is in place . Not unless DFDS get some form of subsidy from the Danish or British local councils or governments. As DFDS have recived between one of there routes between uk and France. I’m don’t know how old you are – I’m 68 and don’t expect to see this ferry service in my lifetime. I recently looked at driving from Stavanger to Norwich 2 people, It priced out around 10,000kr or £1000. With ferry from Stavanger to Hirtshalls – 12 hour drive from Hirtshalls to Rotterdam – ferry from Rotterdam to Harwich – drive up to Norwich and then the return trip. Your looking at 3 days each way especially if you want to overnight on the way instead of the 12 hour solid drive from/ to Hirtshalls to Rotterdam which would include extra cost for hotels etc. But it just ain’t going to happen. It is a shame we travelled by motorcycle and had a fabulous holiday but the cost is just to high I also have priced that up.. I’m 47 my other half is 60 this year so we’re not hopeful.. If you look at all the DFDS ships that travel from Uk to Denmark you would think that they could make it pay to take passengers and cars as well, but I think now they don’t want the inter action with the general public on these routes. As they want a quicker turn round with freight at the ports. If we leave the EU, duty free would return and this is one of the reasons DFDS gave to closing down passenger routes along with sulphur EU laws on ship pollution with the last passenger ship in 2014. Allegedly 80,000 passengers a year did not pay DFDS to run a freight ship with passengers in 2014. Below is a link to the old Jupiter which used to do the Stavanger- Bergen – Newcastle run. Its still in service with a Cambodia flag and home port in Pnohm Penh. These are the ferries that run between Bergen – Stavanger- Hirtshalls. Very nice new vessels, run on LPG, for the route they do. I guess you would need similar investment to make the Newcastle ferry viable. I have booked for a Norway “excursion” in June coming. Living in Scotland, we drive to Newcastle for the overnight DFDS ferry to Amsterdam. Then driving up to Hirtshals – roughly 10 hrs. – for overnight stay and ferry next day to Larvik. DFDS return ticket just under £1000 for a commodore cabin and car. Will return via Malmo over “the Bridge” and Copenhagen. We go to Norway quite a bit and have previously done this route, but we always remember how good it was when Fred. Olsen , Norway line, Color Line and DFDS sailed from Newcastle to Norway. May be, as per Mick’s note, when we’re out of the EU and Duty Free returns, they will reconsider.